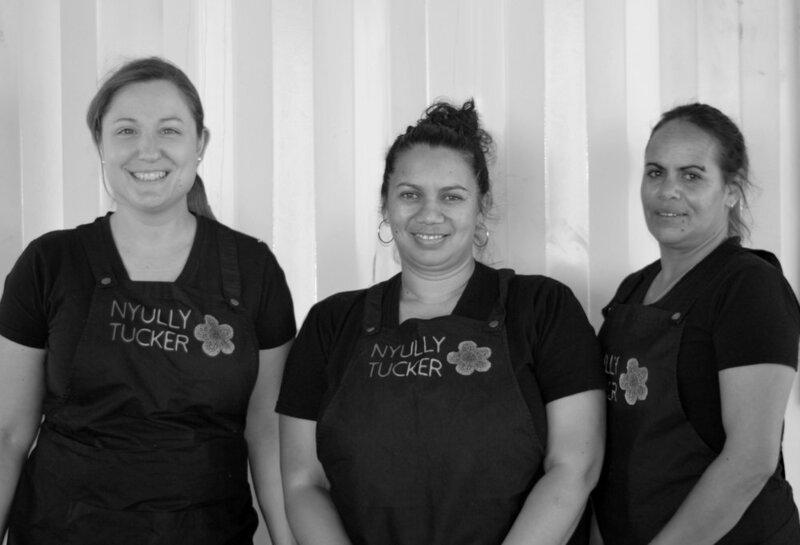 Facilitating secure employment for Indigenous women in the Shoalhaven region of NSW is the driving force behind social enterprise, Nyully Tucker – an initiative of local non-profit, Waminda. “There is a lot of acknowledgement from within the community that Waminda’s programs really work – they are for the people by the people – and that is what we have tried to carry through with Nyully Tucker,” says Sophie Clayton, Manager of Nyully Tucker. Waminda - the only organisation in NSW owned and run by Aboriginal women - has provided health and welfare services to local women and their families since 1984. “A social enterprise was a natural progression for Waminda so we set about working through what the venture would be focused on and decided as a team on hospitality," explains Sophie. In September 2017 Nyully Tucker won a two-year contract to provide a pop up café for Lendlease who are working on the expansion of the South Coast Correctional Centre. The contract kickstarted Nyully Tucker, which up until that point had been establishing itself in partnership with the local community and fulfilling small scale catering jobs. At the same time as Nyully Tucker officially launched with their pop up café, an opportunity to participate in the Kick Starter program presented itself. The 12-week business planning, mentoring and small grants program, in partnership with Macquarie Group Foundation and SEFA Partnerships, provided Sophie and the team at Waminda with the knowledge, tools and resources needed to plan for and develop their social enterprise. The business planning process throughout Kick Starter gave Sophie the motivation and support she needed to think through the direction and growth of the social venture. “It was extremely beneficial to think about the future of Nyully Tucker with my mentors. The enterprise started fairly organically so the business plan forced us to really think through what we’re trying to achieve and how we are going to make that happen,” says Sophie. The social venture also utilises Waminda’s permaculture garden for ingredients used in their pop-up café, catering services and fledgling wholesale range. Nyully Tucker have ambitions to develop a full-scale commercial kitchen, permanent café and cultural hub. Sophie Clayton (far right) at the NCOSS #I4G pitch 2017.